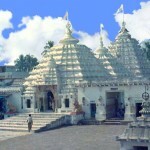 Known to the pilgrim as ‘Tulasi Kshetra’, kendrapara houses the temple of Lord Baladeva. The rites and rituals of Lord Jagannath at Puri are generally followed here, which make Kendrapara equally attractive-95 km from Bhubaneshwar. This entry was posted in Baladevajew, Orissa. Bookmark the permalink.